DISCONTINUED STYLE! LIMITED QUANTITIES IN STOCK! 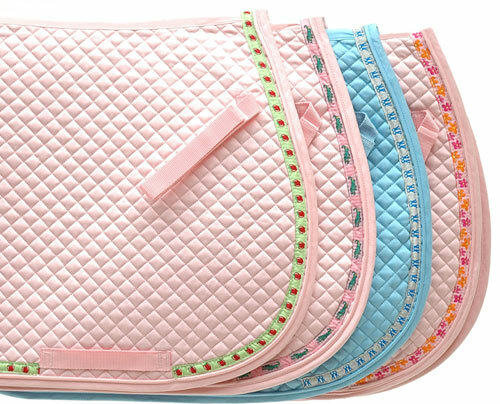 This fun ribbon trimmed all purpose riding pad is made of 100% cotton with a mini-diamond quilting and is cotton lined. It includes girth loops and billet straps. Three fun colors to choose from! Size: All Purpose Horse, 27" x 40"